Ideal for: Sacro-iliac joint pain and dysfunction. 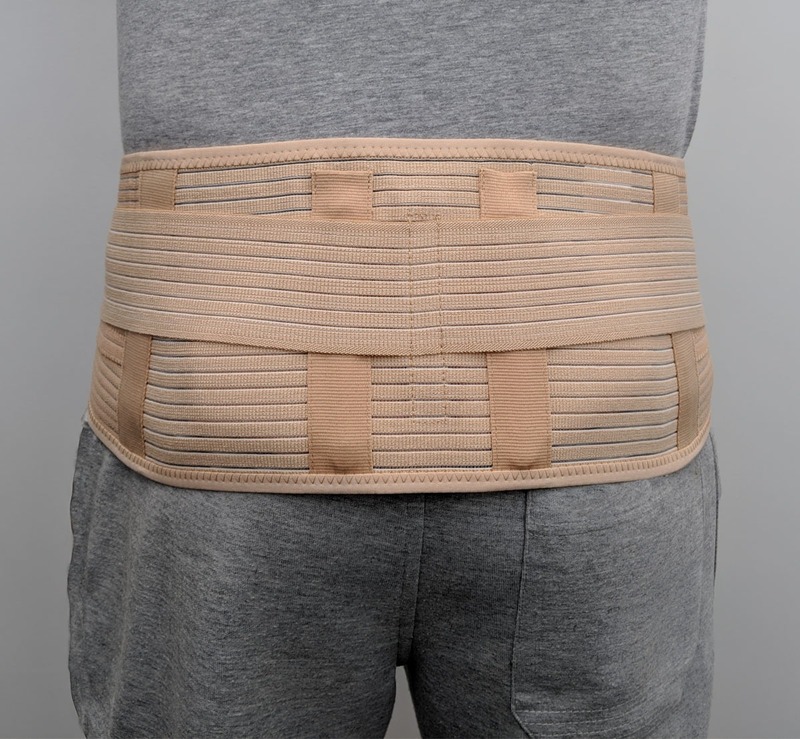 "Specifically designed for sacroiliac support and pain relief"
Sacroiliac support belt for sacroiliac joint pain and dysfunction. The sacroiliac (SI) joint is situated below either side of your lower back and can normally be identified by two dimples (one each side) above your gluteal muscles. Pain in the sacroiliac joint caused by ligament pain due to SI joint instability may often be helped by using a specific support for the SI joints. 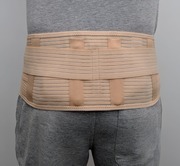 Unlike a lower back support which is worn around the lower back and waist a sacroiliac support belt is positioned below the lower back. 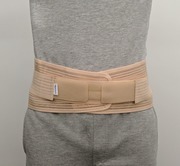 It works by gently compressing the pelvis which acts to support the sacrum and SI joints. Sacroiliac instability may also create pain due to dysfunction (SPD) to the symphysis pubis joint (the joint located at the front of your pelvis) particularly during the later stages of pregnancy. 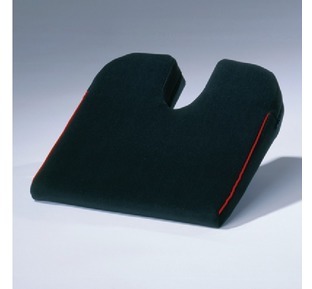 The SI support may also be helpful at reducing SPD pain. 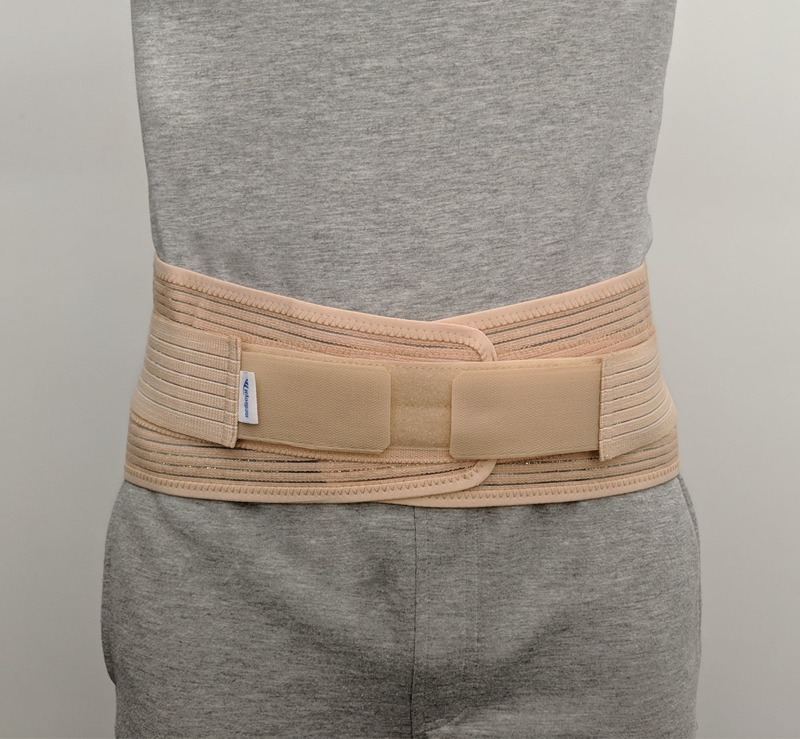 Our sacroiliac support has a front Velcro fastening and additional side pulls to increase the support and compression required for sacroiliac pain relief. This has made a huge difference to my back. I have suffered with back pain for years. This belt really helps stabilise my back as sometimes my back literally feels like it's going to collapse (obviously it's not) but it gets so tired and this belt helps combat the muscle and ligament fatigue. Was not sure if it would fit, as My hips measure 56 inches at the moment. It does and feels nice and supportive. A bit to early to comment on joint pain relief, but I am quietly optimistic.Order arrived quickly. Dear Julie, Thank you for taking the time to share your review and we are pleased that you are finding it supportive. Let us know how you get on with it. No problems I have had a back problem for 20+ years so I'm willing to try anything! This seems okay but I have only worn it a few days. Time will tell!! The belt has reduced my pain to just a mild ache so I am hoping after a few weeks longer I will be pain free. I would also say the overall level of comfort and ease of use are excellent so far. This arrived very quickly. My pain has become less since wearing it for only a few days. Merci beaucoup. 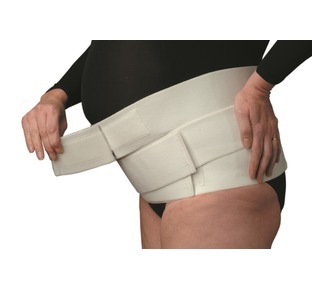 "Pregnancy can take a big strain on the lower back and this support with it's triple fastening system offers an excellent level of support and comfort throughout your pregnancy"
Ideal for: Supporting your sacrio-iliac joints, lower back and your bump. "Harley are a leading brand and this coccyx cushion uses memory foam technology for superior comfort"